This week is supposed to be the Cosplay entry within the Furniture theme. But, try as I might - I couldn't find a single person or company making furniture for cosplayers. I found some cosplay-related stuff like this cool Baymax bed (aff link), and this ​Totoro jumbo sleeping bag (aff link), but no actual furniture being made for cosplay, for cosplayers, or by cosplayers. This is just one of those themes where a category just doesn't apply. 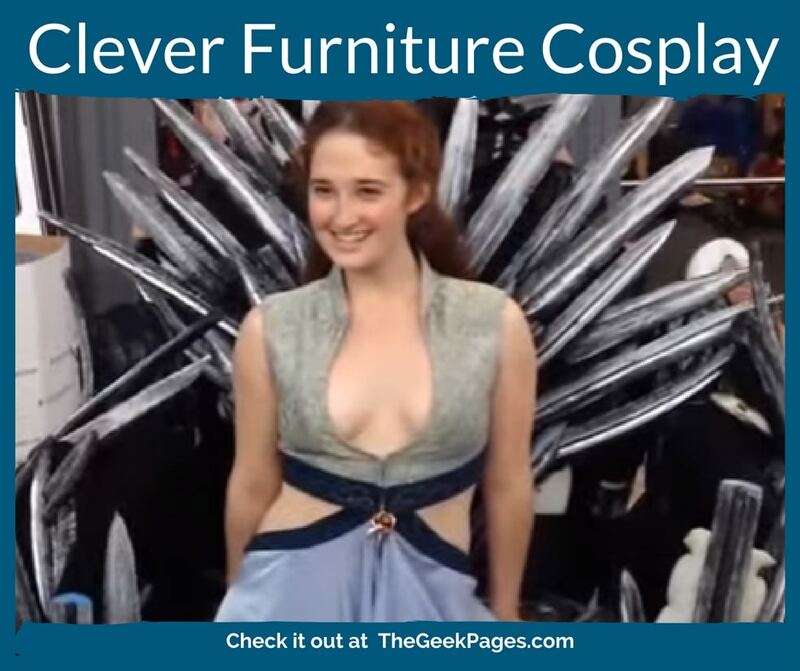 So instead, we're going to look at a few examples of ​clever cosplays involving furniture. First up is this cute original design called Tablewear (aka Teacup Girl) by DeviantArtist ﻿﻿Rose-Pe﻿﻿tal. 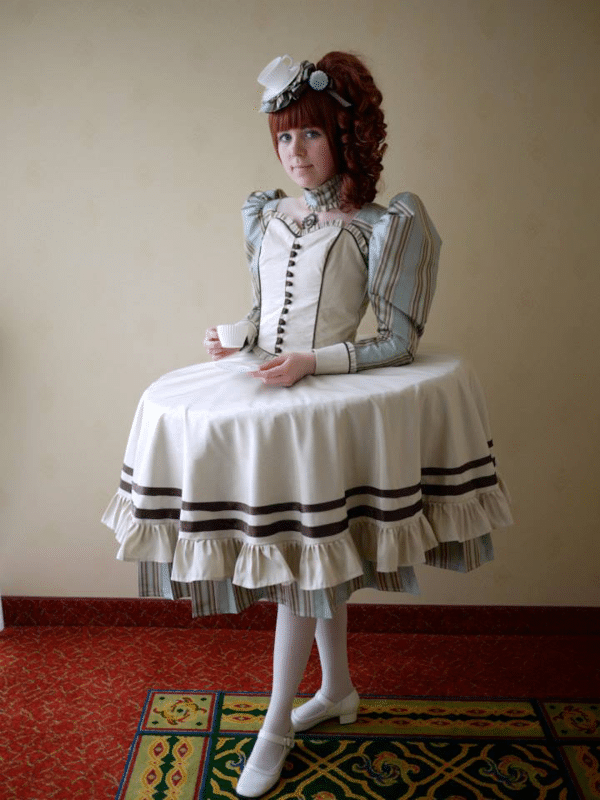 She created a tabletop as her skirt, inspired by the wide panniers and skirts of dresses from history. 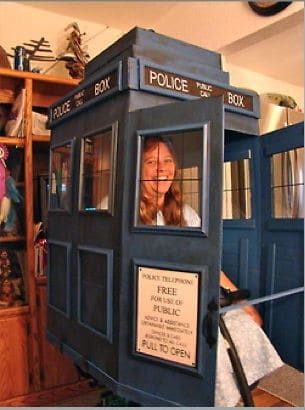 I'm not sure a TARDIS really counts as furniture, per se, but work with me here. No matter who made it, I think this is creative and clever! ​I left my favorite for last. If you're talking furniture for cosplay, there's nothing more iconic than the Iron Throne, right? I've seen lots of different versions of it. But take a look at this one. At first glance, this might look like a run of the mill Game of Thrones cosplay of Margery Tyrell. But watch the video to the end to see the truly clever way she designed her Iron Throne. Unfortunately, I was unable to find a website or page that belonged to this cosplayer. According to the YouTube video notes, it's a cosplayer named Molly Glover. 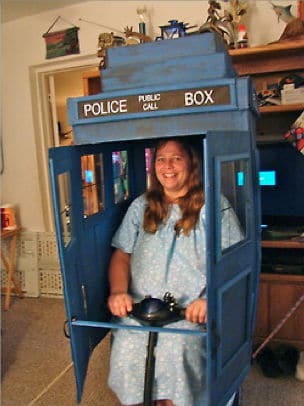 Hey Molly - maybe you should make a Facebook or web page to feature your amazing cosplay! Just an idea. 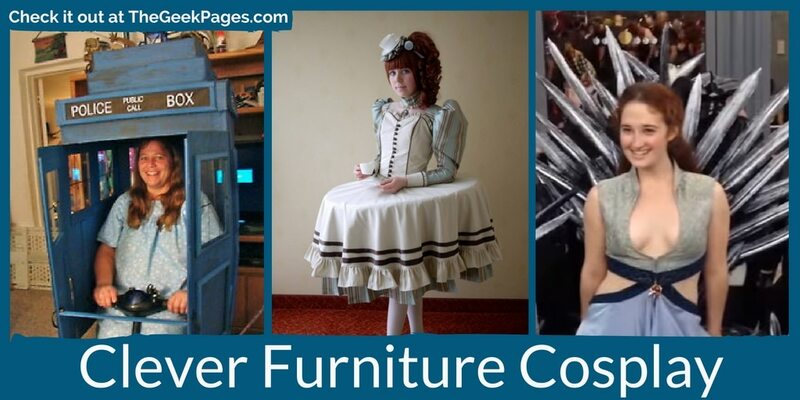 This week's article was a challenge - I completely failed to find any actual "cosplay furniture," so I don't have an actual listing to feature. But I did have fun discovering how these ingenious cosplayers created furniture for their cosplays that were both mobile and creative. 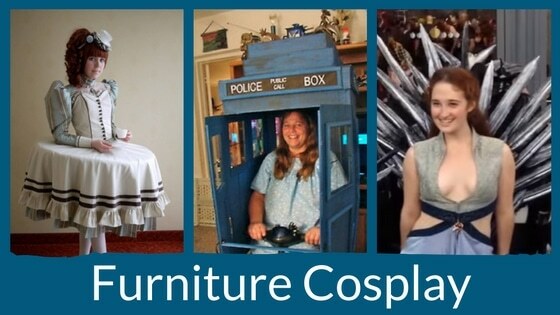 Do you know of any actual "Cosplay Furniture?" 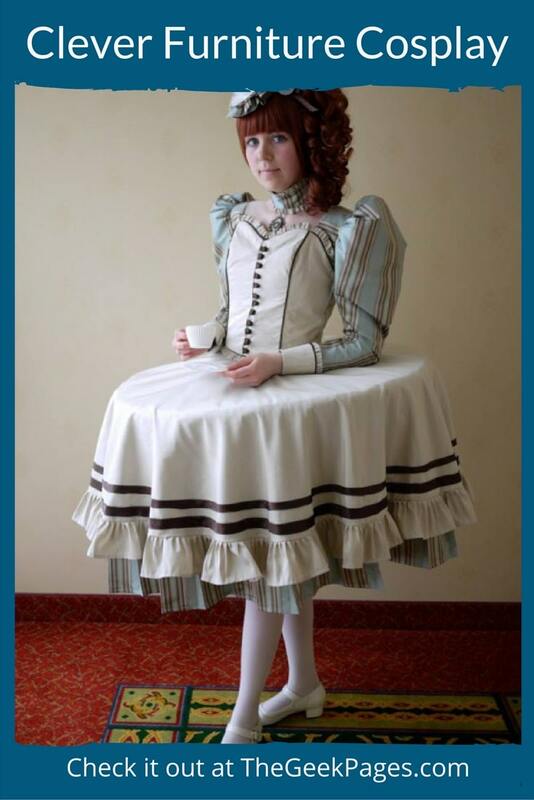 Or, have you seen an amazing cosplay involving furniture? Tell us in the comments!